Qi Le Boneless Chicken Rice - Free yummy chicken feet peanut soup! It was already 10pm and we had just finished watching a movie at AMK hub. What was still opened? 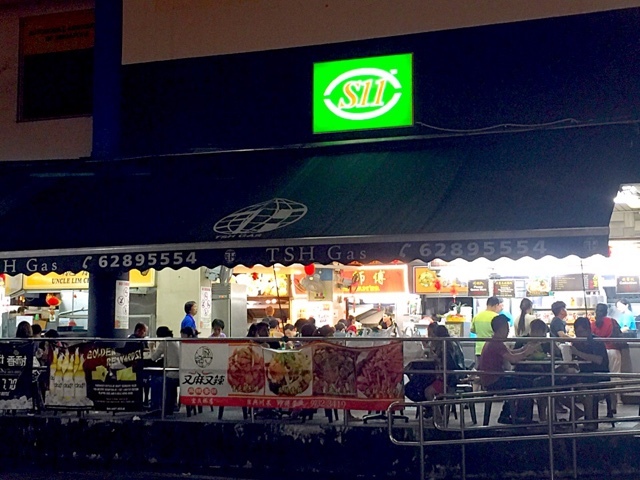 The S11 coffeeshop just outside of the hub was still bustling with late night diners or supper eaters. We belonged to the former group. During peak hours, Qi Le has a long queue. At 10pm, there wasn't any queue. I have been to Qi Le many times and the quality is always consistent. The steamed chicken was oily, which is perfect for me; with smooth salty skin, tender and tasty. Beneath the chicken was a small bed of beans sprouts soaked with a sauce tasting of sesame oil, chicken oil and soya sauce. The chilli had a kick of sourish and spicy flavour. The black soya sauce was thick and sweet, reminds me of the good quality soya sauce that Bak Kut Teh shops have. 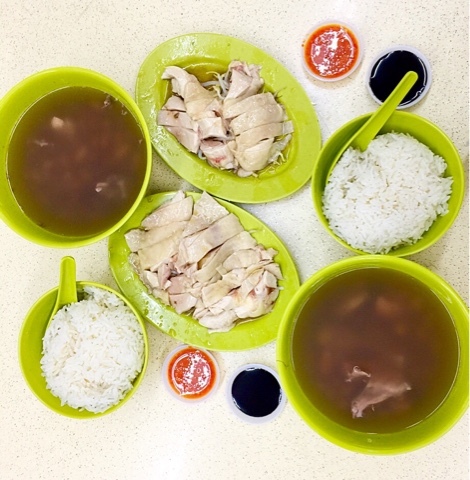 This complimentary soup is what sets this chicken rice stall from the others. 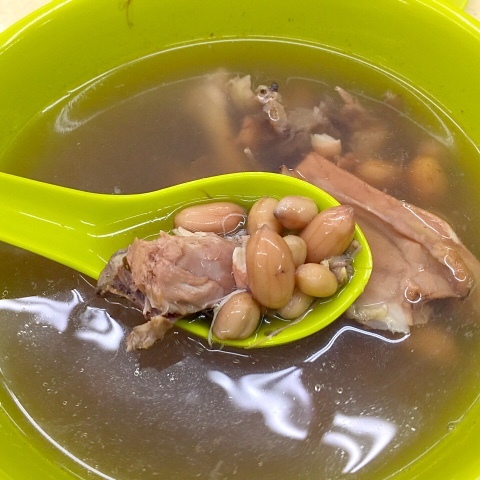 Unlike the diluted versions of soups that most other stalls offer, this soup reminds you of your Ah Ma's soups - boiled for hours and filled with the aroma of soft peanuts and the sweetness of chicken bones. You can even ask for free refills. If you are early, you could also request for more chicken feet. Look at the size of the soup bowls. Very generous, isn't it? 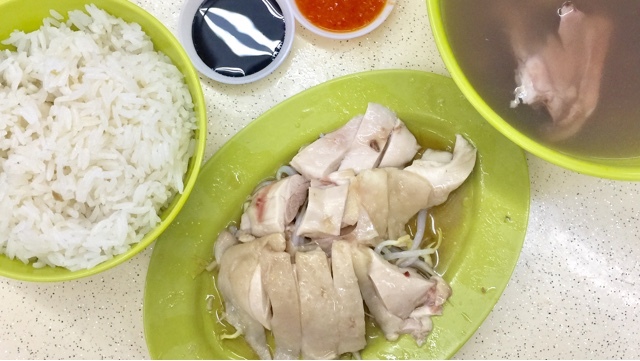 The chicken rice itself was not overly oily and salty but still fragrant, which went very well with the chicken meat. The price is also very reasonable. 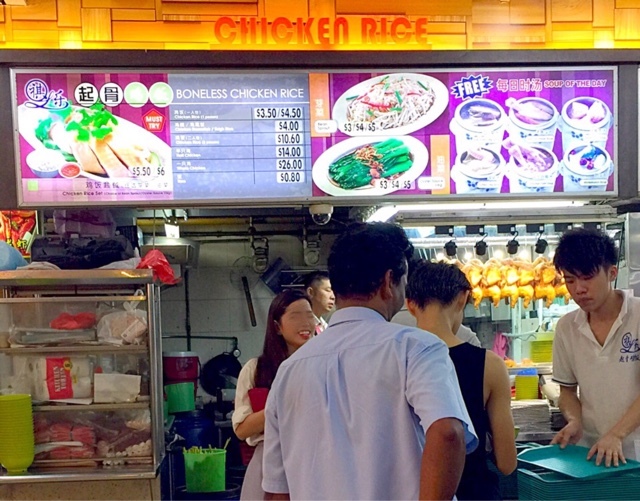 If I am in the vicinity, Qi Le is the place I would head to for a satisfying chicken rice meal.